Putting the RING in SpaRING. 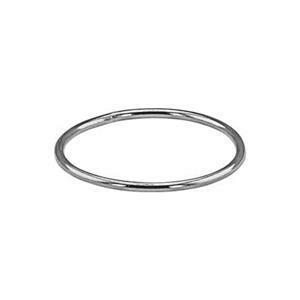 You’ll love the Thrifty, Economical, Frugality of our SR457 – Bright Sterling Silver 1mm Wire Stacking Finger Ring. Size 7. A Barely There Silver Band. Beautiful when worn alone, or go from SpaRING to StaggeRING with a selection of our other Finger Rings.